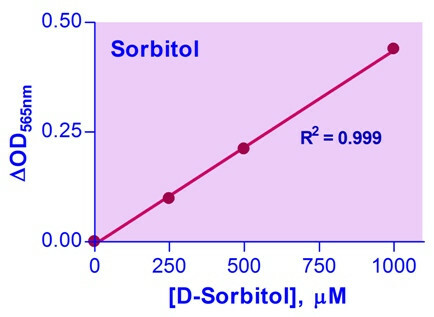 For quantitative determination of D-sorbitol and evaluation of drug effects on sorbitol metabolism. The mitogen-activated protein kinase (MAPK/ERK) pathway plays a key role in cell proliferation, differentiation and migration. Stimulation by mitogens eventually leads to phosphorylation of ERK1 (T202/Y204) and ERK2 (T185/Y187). The MAPK/ERK cascade presents many interesting drug targets for the development of cancer therapies. BioAssay Systems’ cell-based ELISA measures dually phosphorylated ERK1/2 in whole cells. This simple and efficient assay eliminates the need for cell lysate preparation and normalizes the signal to the total protein content. The assay is a useful tool to study the MAP kinase signaling pathway. In this assay, cells are grown in 96-well plates and treated with ligands or drugs. Cells are then fixed and permeabilized in the wells. ERK1/2 phosphorylation (pERK) is measured using a HRP-conjugated antibody specific for phosphorylated ERK1/2. 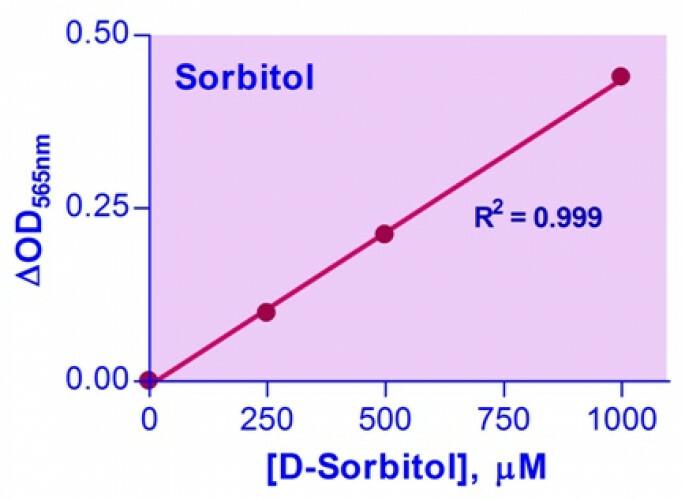 Applications For quantitative determination of D-sorbitol and evaluation of drug effects on sorbitol metabolism. Samples Biological (e.g. blood), food, beverage and agriculture samples.